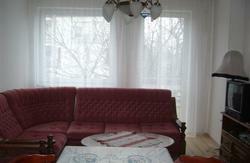 We provide 2 double rooms. Both with a huge french bad and bath. For request this rooms also available as a triple with a spare bad, or they fine for 2 adults and 2 kids. We also provide 2 dorms with 8 beds. In both has own bath and lockers. All our apartments are fully furnished with free Internet, cooking facility, place to store your food, and we have a cozy common room with a balcony. Brand new beds, sheets, towels, kitchen, bathrooms and toilets,! Free tea or coffee (even both) every morning. To boil down our central located apartments are a perfect, reasonable choice while you staying in Budapest on your short or long period holidays. 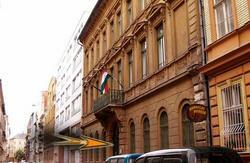 Easy to get here and find us from any place you arrived to Budapest with all variation of public transports. Main bus, tram, and tube lines front of our building which is situated at right next to Blaha Lujza Square by the junction of a main boulevard and a main street in Budapest. If you come early we can secure your belongings. Please confirm your booking by e-mail or phone at least 2 days before you arrive and please let us know approximately what time you will get to our place. No dogs or other animals (apart from fish) allowed. You can come and go any time but please keep quiet after 10pm. Do not bring guests to your rooms after 8pm. No cooking between 10 pm and 7am. Easy to get here and find us from any place you arrived to Budapest with all variation of public transports. Main bus, tram, and tube lines front of our building which is situated at right next to Blaha Lujza Square by the junction of a main boulevard and a main street in Budapest. The Airport Minibus for about 2300 HUF/person (tell the driver to bring you to Blaha Lujza square Rákóczi Street 40. Fixed priced Taxi will bring you from 4300 up to 5000 HUF or 20 Euro/cab (They only come for orther. If you give us at least 2 days note we’ll arrange for you). The public bus No. 200E (in front of the terminal) to the metro station Kőbánya-Kispest. Then by metro (blue line) you go as far as Deák tér where you change to line number 2 (red line) towards Örs Vezér tere. Get off at the second stop at Blaha Lujza tér (for this trip you need 2 tickets, one ticket costs 350 HUF). Takes about 60-90 min. Take tram No. 4 or 6 towards Újbuda-központ or Móricz Zsigmond körtér and get off at Blaha Lujza tér (4 stops). Take the red metro line toward Déli pu. for one stop to Blaha Lujza tér. Bus No 7. one stop to Blaha Lujza tér. Walking down on Rákóczi út takes about 8-10 min. 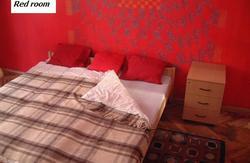 Take the red metro line to Blaha Lujza tér (6 stop). If You need any other information or you have any questions please don’t hesitate to contact us by e-mail or phone.